On Monday, Home Affairs and Law Minister K. Shanmugam spoke about the One Belt, One Road (OBOR) initiative, an effort by China to recreate the Silk Road through infrastructure projects that connect Asia, Europe and Africa. He discussed the implications of the initiative for geopolitics and Singapore in his talk at the Lee Kuan Yew School of Public Policy. This an edited extract. Let me give my views on the possible implications or impact of the Belt and Road Initiative (BRI). First, let's look at the larger geopolitical trends. One, the rise of China. It is likely to be the largest world economy in absolute terms, though not in per capita terms. This is likely to happen sooner rather than later. China aims to be a superpower - understandably. When you consider the combined metrics of economy, technology, population, you will conclude that China's aim to be a superpower is realistic. Two, there will inevitably be a change of relative power between America and China. I am not suggesting that America is in actual decline. It is more a question of relativity. In absolute terms, it will be some time yet before China or any other country can match the US, let alone surpass it, militarily. Nevertheless, over time, the United States will have less and less scope for unilateral action, especially in areas of the globe where China has strong interests. China will not be able to ignore US interests either. They will have to find a new modus vivendi. China is fast drawing level with the most advanced countries in many fields and surging ahead in some. Its infrastructure, technology, education system are now better than world class. China's rate of growth now is roughly double that of the US. If you look at trade, it is now the world's largest trading nation, and the largest trading partner for most countries. These trends are irreversible. Any attempt to reverse or stem them will fail. The US Congress put up roadblocks to giving China its rightful role in the World Bank. China simply set up its own international bank - the Asian Infrastructure Investment Bank (AIIB). Many countries, including Western countries, made haste to support the AIIB. So with or without BRI - these underlying trends are inexorable. The BRI is both a result of these trends and may well accelerate them. The history of trade shows that the global economic centre of gravity for much of human history was in China and India. And the Silk Route was the spine of world trade. The Silk Route brought great wealth to China, and to the cities along the route. With the BRI, China tries to recreate this history. It is bold, it is innovative, it is ambitious. It exemplifies the vision of a country that is today the world leader in many aspects of infrastructure technology. Take permafrost railway for example. It presents multiple engineering challenges. Permafrost melts with slight changes in temperature - heat from trains can also cause melting. Permafrost thaws, ground becomes muddy, affecting the integrity of the entire system. For fragile sections, Chinese engineers built elevated tracks with pile-driven foundations sunk deep into the ground. And China has built an impressive rail network on permafrost - quickly as well. China's first emperor Shi Huang Di's feats of construction inspired the idiom "shave off mountain peaks and fill valleys" (qian shan yin gu). It is a country which centuries ago built a wall, which today can still be seen from space. The Chinese understand infrastructure. The current international situation will tend to accelerate these larger geopolitical trends. And I will list three developments that will impact these trends. First, China has been very strategic in the way it has been investing. China identifies regions of interest, and then focuses on them relentlessly. Neither the US nor Europe can do the same. Their political and economic systems are different. Their leaders cannot make the same type of long-term commitments. China-Africa trade was US$10 billion in 2000, it was US$220 billion in 2014. Chinese companies purchase stakes in mining operations in Africa, in return for loans to finance large-scale infrastructure projects. These investments create strong relationships. Of course they have not been without some backlash. But, on the whole, they predispose many countries towards BRI. Second, China's centralised system allows it to bring together the necessary resources and focus intensely, relentlessly, on the outcome that it wants. This is not to say that everything about the Chinese system is good or works well. China does have some serious issues, as China itself acknowledges. For example, corruption is a serious issue, and is being actively dealt with by President Xi (Jinping) and his team. And over time China will have to deal with other social issues and political issues as well. Ageing, for example. While there can be many criticisms levelled at China and its political system, nevertheless, they are often skewed, or a little unbalanced. For example, you will often hear this: the Chinese political system does not allow innovation, and so China cannot compete at the frontiers of modern science and technology. Therefore, it will not ultimately succeed. China has been showing its detractors are getting it wrong. China has shown it can move up the tech value chain quickly. Take telecoms. Huawei is now a world leader in info technology. It makes world-leading hardware, and world-leading software as well. Another illustration: quantum satellites. China is moving ahead on space-to-ground quantum key distribution technology. It is a way to send data over long distances which is very difficult, if not impossible, to hack. This technology was actually developed in Europe. But China put in the resources to take it further. America's long-held position, post-World War II, was that the maintenance of global peace and order was, in itself, in America's interests. Now it has been suggested that America should define its interests more narrowly, an "America First" approach. America has wondered aloud on positions which were once considered fundamental. For example, its commitment to Nato, stability in the relationship with China and free trade. To be fair, some of the questions being raised by America are understandable. For example, it has been pointing out since the 1980s that it bears a disproportionate share of the cost of Nato. But if there continues to be a perception that the US is withdrawing or reducing its global footprint, that may then accelerate the larger geopolitical trends. If the US continues with anti-trade rhetoric, removes itself from trade agreements, targets countries with economic sanctions, and there are tariff wars, then more countries may find the BRI to be more attractive. 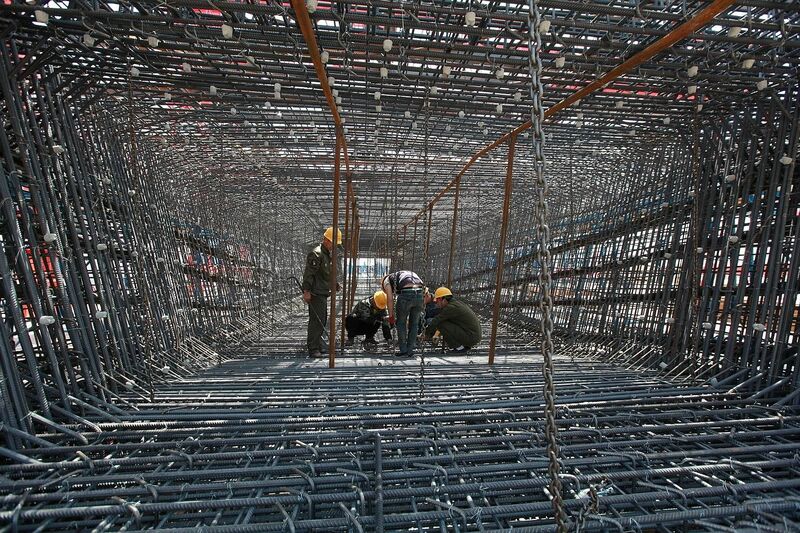 The BRI is arguably the most ambitious infrastructure project in history. Trillions of dollars in infrastructure spending expected, in over 60 countries. Nearly US$50 billion (S$68 billion) has already been invested in economies along the Belt and Road. The BRI seeks to capture the imagination of partner countries. Many would-be partners believe that when the routes are laid, wealth will flow as it once did. It has the potential to bring Eurasia, China and South-east Asia even closer together. But let me strike a note of caution. Central Asia - for centuries, conquerors have swept through the area. It is a hostile environment, difficult to enforce law and order. Afghanistan has been called the "graveyard of empires" for good reason. There is a poem by Kipling, The Young British Soldier, on fighting in Afghanistan. Mr Lee Kuan Yew gave a copy of the poem to president (Barack) Obama. It is worth reading. Thus success of the BRI in these areas is not a given. There are other associated risks. Russia has very substantial interests in the region. It is not a given that Russian and Chinese interests will align on the BRI. Beyond the specific difficulties of Central Asia, China also has to try and engage countries which have been less than enthusiastic about BRI. For example: India, Japan. It is good for China to be respected, liked and trusted. If there is a deficit in trust, we then might see regional counter blocs forming. No country, not even China, can go it alone in the modern world. The BRI is not a substitute for the current international order. The current order is built on free trade. If the world turns protectionist, that will affect the BRI. If China plays this right and successfully conveys that it has benign intentions, through the BRI and other regional initiatives, it has the potential to build a new economic architecture that can uplift economic growth in this hemisphere. China is likely to find South-east Asia easier in the context of the BRI. The connectivity - roads, rails, ports, airports - will be of great benefit. And the potential to create a vibrant economic zone, including the maritime states, is huge. The BRI, if successfully executed, will reshape global trade. It will anchor the world's centre of economic gravity in Asia. And China will be the centre of that centre. Not all roads will lead to Beijing, but many roads will. Singapore recognised very early the potential for China's growth, from the early 1980s. And was an active proponent of that growth. We supported the BRI since its early years of inception, recognised it would benefit Asia and Asean, and lead to greater regional economic integration. We were among the first few countries to support the AIIB, because we recognised its importance for the BRI. As a small country that is well governed, with rule of law, a highly educated population, we should be able to benefit from all of this economic growth. The BRI in itself offers tremendous economic opportunities. If connectivity improves, people travel, investment flows increase, then we can benefit - if we are ready and smart. The figures show that we are already benefiting significantly from the opportunities offered by the BRI. China's investments in Singapore alone amount to about one-third of its total investments in Belt and Road countries. Singapore's investments in China accounted for 85 per cent of total inbound investments from Belt and Road countries. In this unfolding multi-polar world, it is even more important for us to have as many good relationships as possible. Small states must continually earn their relevance. For us, nothing is guaranteed. The world can pass us by in an instant. We need to keep improving, keep reinventing and finding new ways to add value. We should try to punch above our weight, rather than just be seen as a 700-sq km rock at the southern tip of Peninsular Malaysia. We have good reasons to be optimistic. We pack quite a punch. Note what Professor Tommy Koh said earlier this month: While we may be small in terms of territory or population size, we are not so small when you consider other yardsticks: GDP per capita, size of our foreign reserves, our connectivity with others, ease of doing business - to name just a few factors. There will be fierce competition, certainly. We must anticipate that our neighbours will, for example, want to build big ports to challenge our port. We must be nimble, quickly adapt - modernise, expand our own container port; have the foresight to make the necessary changes today for a better tomorrow. If we do so, we can secure our future, and ensure we remain a key port of call in South-east Asia. And don't be easily rattled. As a Straits Times article pointed out, it is not so easy to displace our port. Don't be spooked by social media disinformation campaigns that claim we are about to be surrounded and cut off. We achieved what we have by thinking bold, and thinking big. We didn't allow anyone to bully us, or subject ourselves to the demands of other countries. Many have tried. We resisted. International relations, it is not unlike a jungle. And small states are at risk. Small states that are intimidated or cajoled by bigger states into allowing their identity and interests to be defined by bigger states are not going to remain sovereign states for very long. They may retain a flag, a national anthem and a vote in the United Nations, but that is about all. They will lose the autonomy to be themselves. The issue is existential. If we allow ourselves to be bullied or seduced by bigger powers, that can break or severely stress our own domestic social-political compact, on which modern Singapore rests. Once broken, it will be difficult, if not impossible, to put together this compact again. If our founding fathers had conceded that Singapore should behave like a small state - "adiks" - we would not be having this conversation today. We would not be speaking in English, certainly; and there would be no Lee Kuan Yew School of Public Policy. But thankfully, our founding fathers thought boldly, so we have a vibrant, confident modern state.